Quite often you walk past the carpet cleaning machines in supermarkets that claim to be as good as professionals. Is this really true though? Today the team at Really Cheap Carpet Cleaning are looking at the advantages and disadvantages of hiring a supermarket carpet cleaning over getting a professional in. As you can see, there are positives and negatives to doing it yourself instead of hiring a professional. It comes down to a range of different circumstances. If you do decide to go the professional route, check out our carpet cleaning Brisbane service. 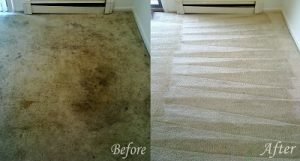 We are guaranteed to bring your carpets back to life. Contact us now to get a quote.